In May of 1958 Robinson urged President Eisenhower to send troops to force integration at Central High in Little Rock. 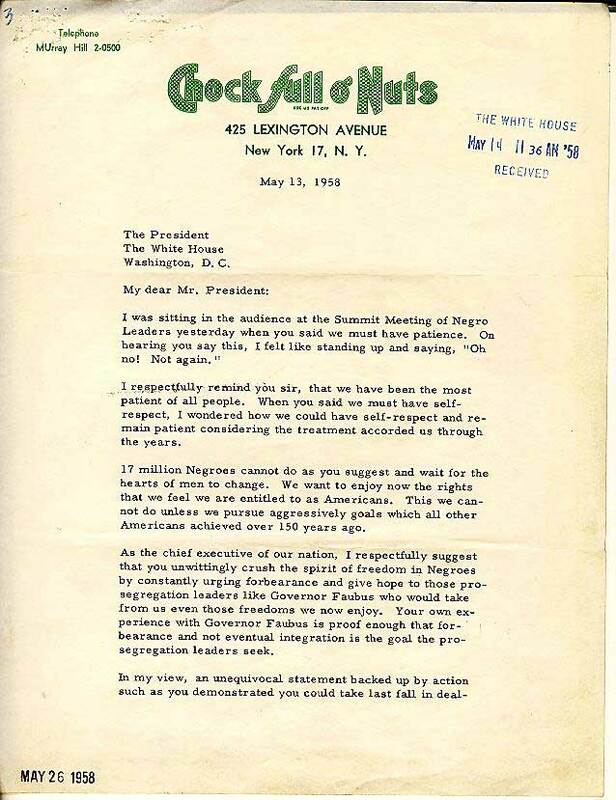 As part of our celebration of Black History Month, we are including a copy of the letter along with questions and answers. 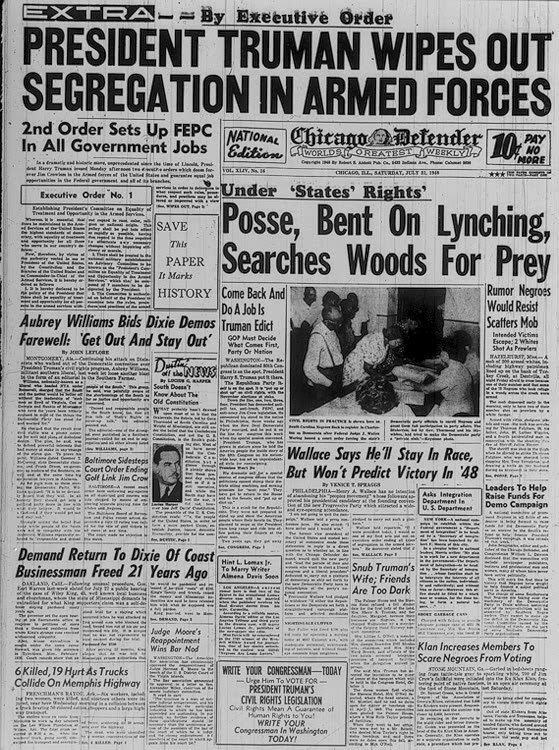 President Truman ended segregation in the armed services in 1948 with Executive Order 9981. This historic document is easy for students to decipher and a valuable look at a primary source document. We have included a copy of the EO as well as questions and answers. For more on this era see our Civil Rights Movement PowerPoint. Asa Philip Randolph was an important American figure for many decades. He helped organize the Brotherhood of Sleeping Car Porters, campaigned against lynching, segregation and unfair employment practices. He also was a major figure in organizing the March on Washington, among other important accomplishments throughout his dynamic life. 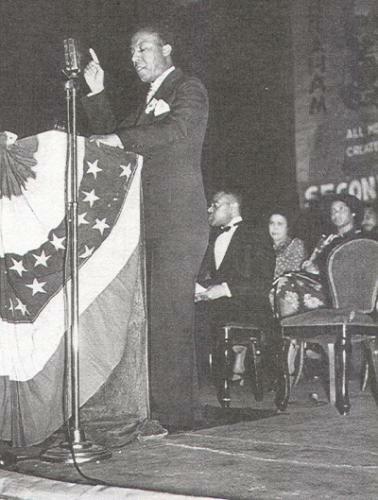 We have included his speech from 1941 urging a March on Washington to end segregation in the government and in the military. It was his belief that if the government did not lead the way in ending segregation, private businesses would not take the initiative. It was from this pressure that FDR signed Executive Order 8802, which prevented racial discrimination in war industries. It would not be until after WWII ended that segregation in the military ended. Here are the questions, answers and speech. If you are interested in more Civil Rights material, please check out our Civil Rights Movement PowerPoint.